Mount Vision Handmade Pastels Karl Kelly the creator of Mt. Vision Pastels started his career making handmade oil paints for one of the United States best known fine oil paint manufacturers. Karl says I wanted to bring the vivid color and particular density of each pigment to pastel with the same high quality I applied to making paint. The Mount Vision Pastel Company was launched in the top story of an old general store in Mt. Vision New York in the Fall of 2000. Mount Vision Pastels have an intensity that rivals all other imported brands of pastels. They have a wonderful soft almost buttery feel; the pigment goes down without resistance and allows the build up of several layers. 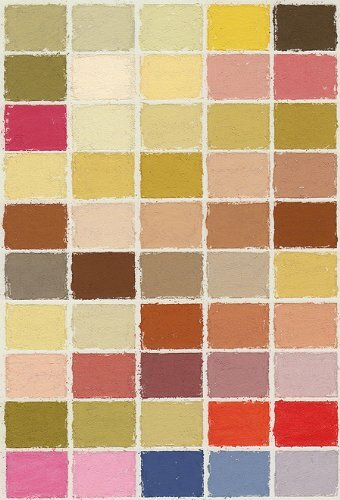 The colors chosen for Mount Vision pastels have been picked from nature as well as the artistic use of color in the medium. The color line is constantly growing to meet the needs of pastelists. Mount Vision pastels are larger than most other brands- and perhaps best of all they are less expensive because they are made in the United States and are not subject to added import and shipping fees. All of our customers who have tried them are absolutely delighted! If you have any questions about this product by Mount Vision, contact us by completing and submitting the form below. If you are looking for a specif part number, please include it with your message.